We have now read and responded to all Defying Doomsday submissions! As soon as we make a few final touches, we’ll be ready to announce our table of contents. Overall, we received 177 stories for our theme: Apocalypse-survival fiction with a focus on disabled and chronically-ill characters. 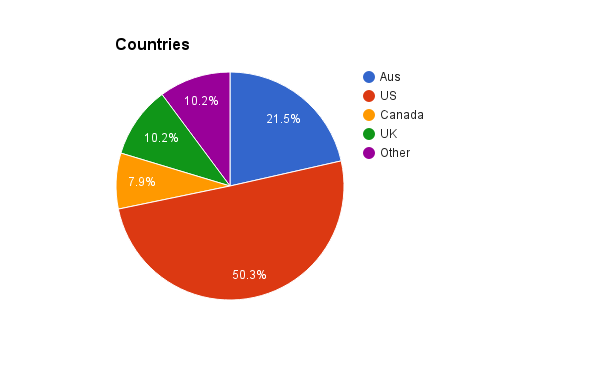 Of those stories, the vast majority were by US authors (just over 50%), with Australian authors coming in second at 21%. 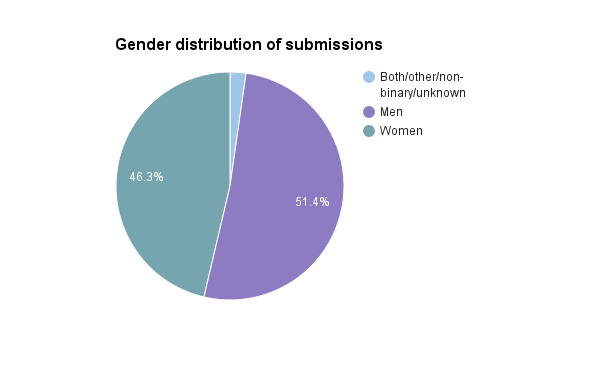 The gender distribution of submissions was 51.4% men, 46.3% women and 2.3% both/other/not-binary/unknown. 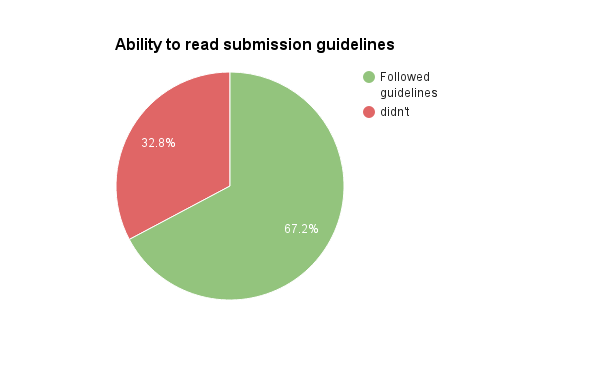 67.2% of the authors who submitted to Defying Doomsday followed the stated guidelines, 32.8% did not! So there are some pie charts for your delectation. 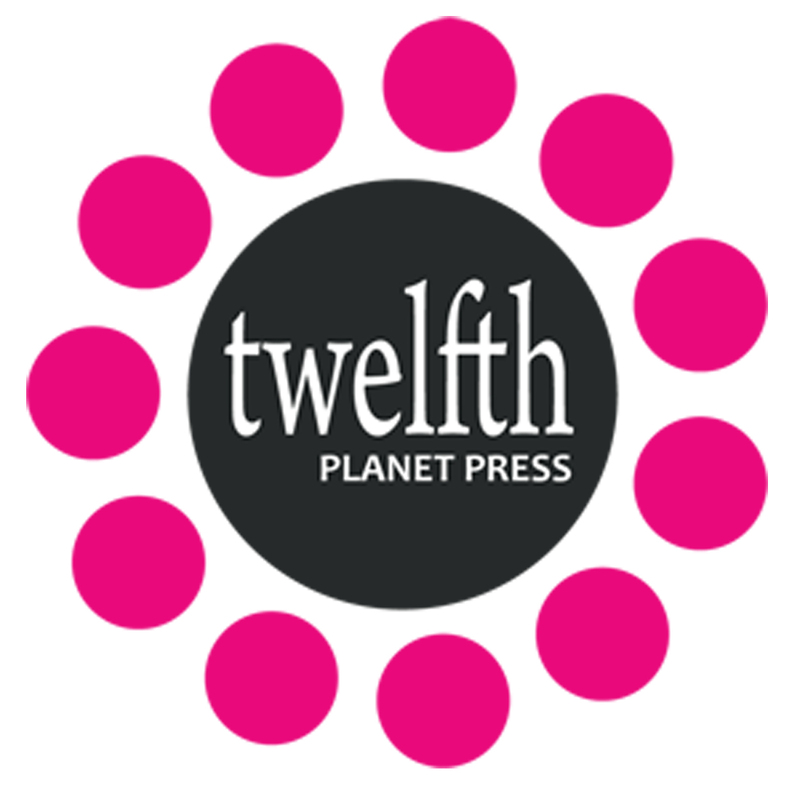 We’ll be announcing the table of contents soon! Excitement!